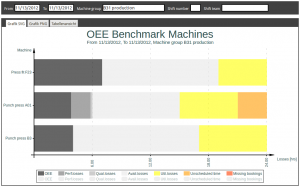 The Overall Equipment Effectiveness (OEE) is a unique performance indicator. 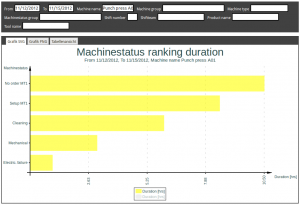 It shows both the productivity of your machines and their losses at a glance. 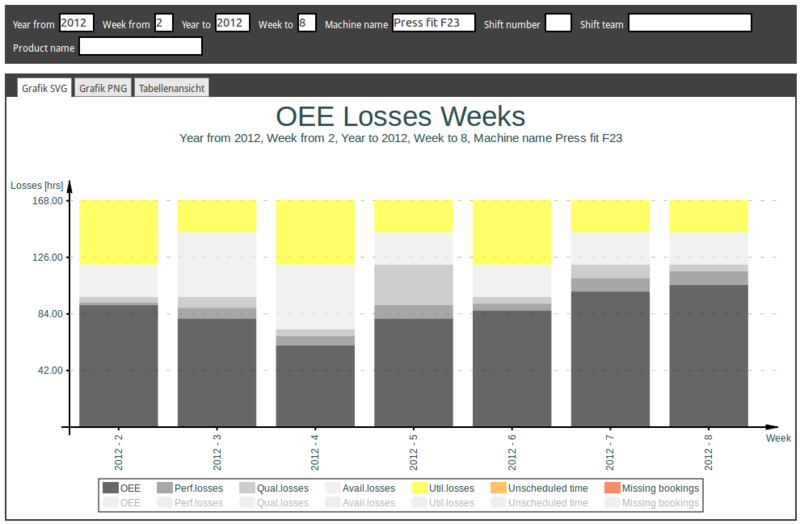 FACTORYMINER provides you with a variety of analysis for the OEE index, as well as many other reports. All analysis and reports are available in real time. Consequently our software supplies you with valuable information for the continuous control and improvement of your production processes. 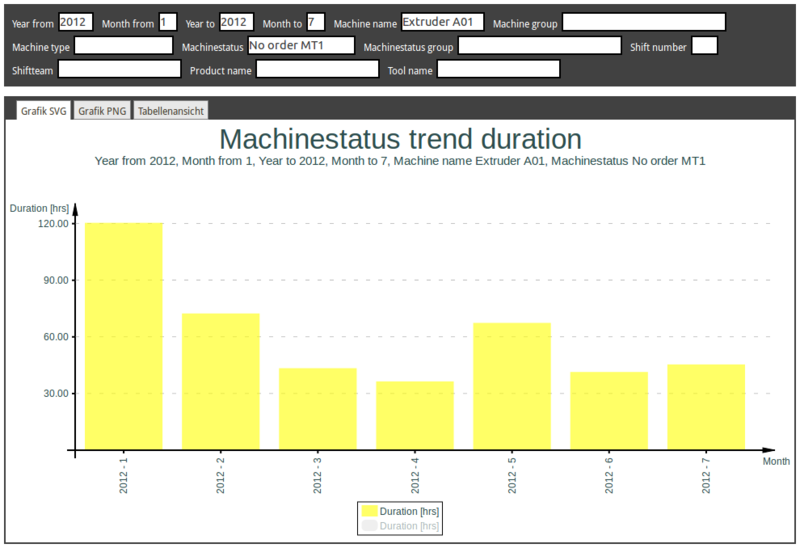 Trend analysis of certain machine states: You can analyze the duration or frequency of machine states over time and thus detect certain trends. 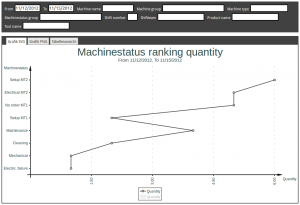 This for example can help you to track the success of improvement projects (optimization of setup times, logistical measures, etc.). Pareto analysis of outages and faults: Our experience shows that there are three to four reoccurring outages or faults at each machine causing most of the down times. Focusing on 20% of outages and faults allows you to eliminate 80% of all downtimes of a machine. Pareto analysis of outages and faults by frequency of occurrence: On some machines a halt causes that currently processed material becomes scrap. Since raw material usually accounts for most of the costs per piece, scrap leads to high extra costs. To avoid that it is crucial to focus on the frequency of halts rather than their duration. 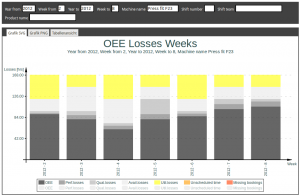 Trending of the OEE index including losses: To be able to identify certain trends in production, it is possible to analyze the OEE including the losses over time. Thereby it is possible to instantly detect production downtrends as well as their reasons at once. 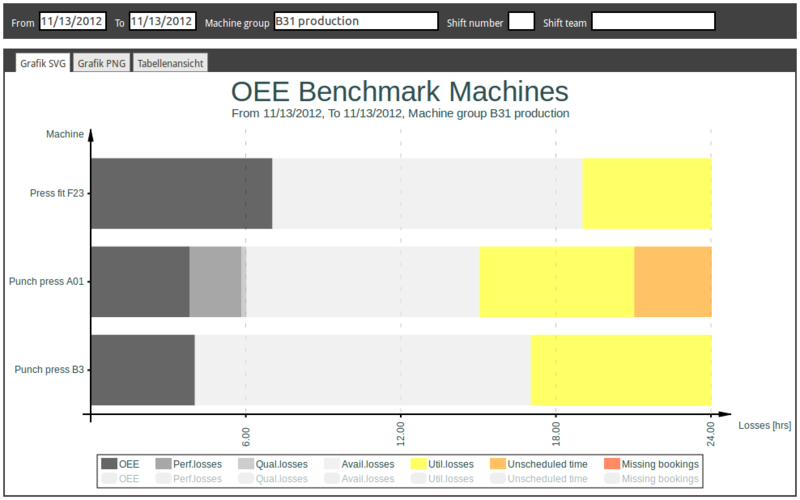 OEE benchmark on machines: For production management it is important to get a daily overview of the machine performances. 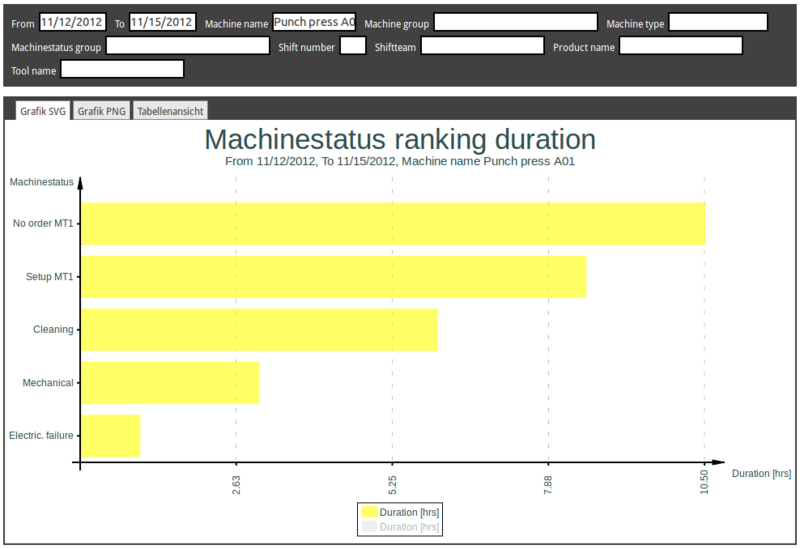 The benchmark analysis provides this information at your fingertips by comparing the OEE of your machines. At a glance you can see which machine has problems and if any action has to be taken. 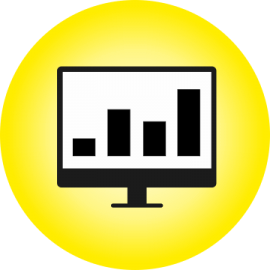 Process data analysis: The statistical process control (SPC) can help you maintain a predefined level of quality at low cost. Set target values, specification and control limits for your process data and get in control of your quality-critical production processes. 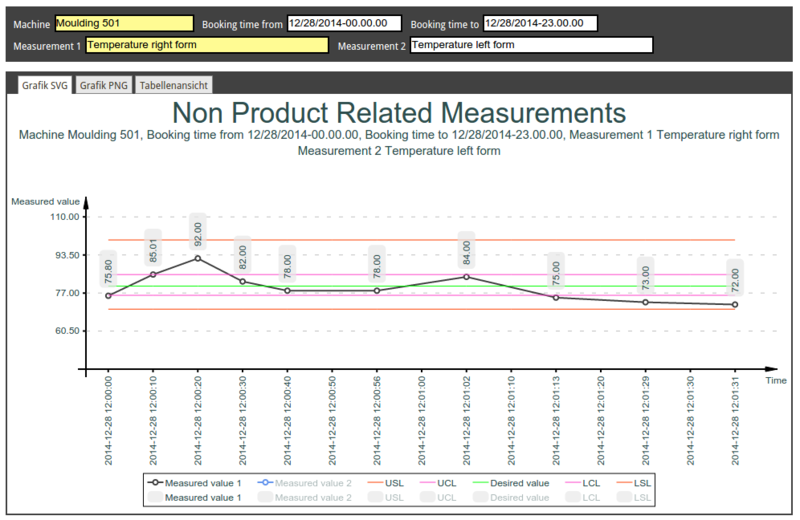 The analysis above can be carried out with a wide variety of selection criteria on user-defined time periods. The possible selection criteria includes shift numbers, shift crews, order numbers, machines, machines groups, products, product groups, and many more.